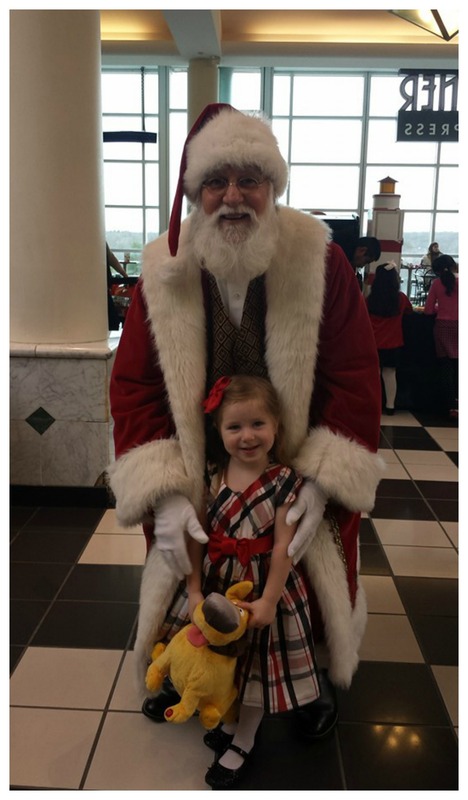 *Disclosure-Avery and I were invited to attend Breakfast With Santa. No other compensation was received and all opinions are my own* Oh what fun!!! 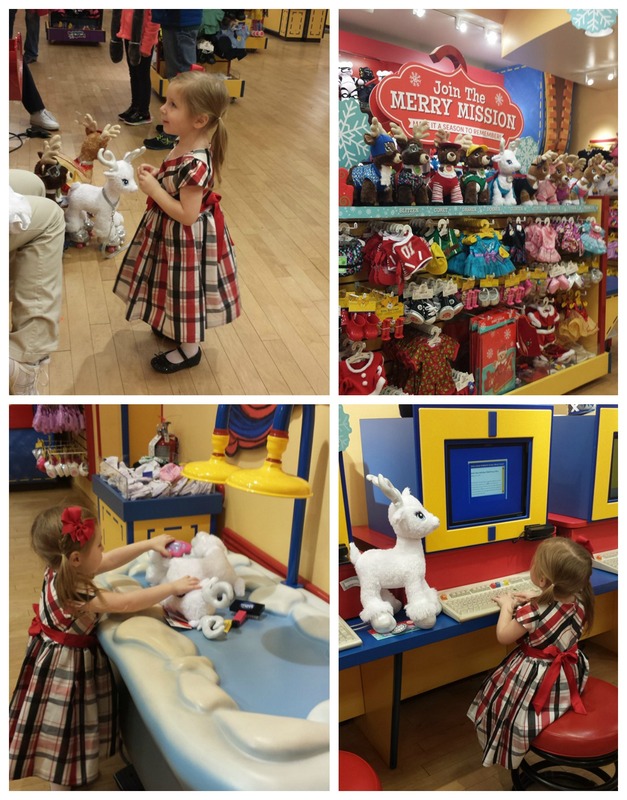 Avery and I have been enjoying so many Christmas activities, and neither of us can wait until the 25th! 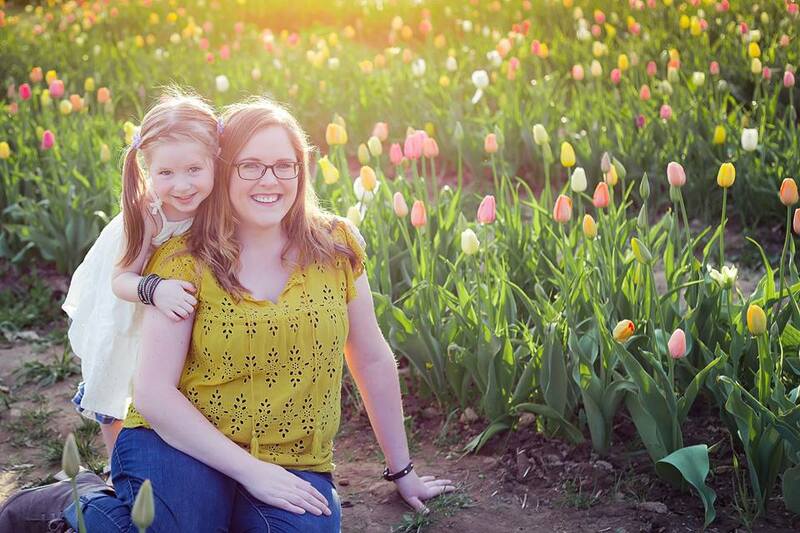 This year has been so magical with a little girl who is so full of wonder and excitement! 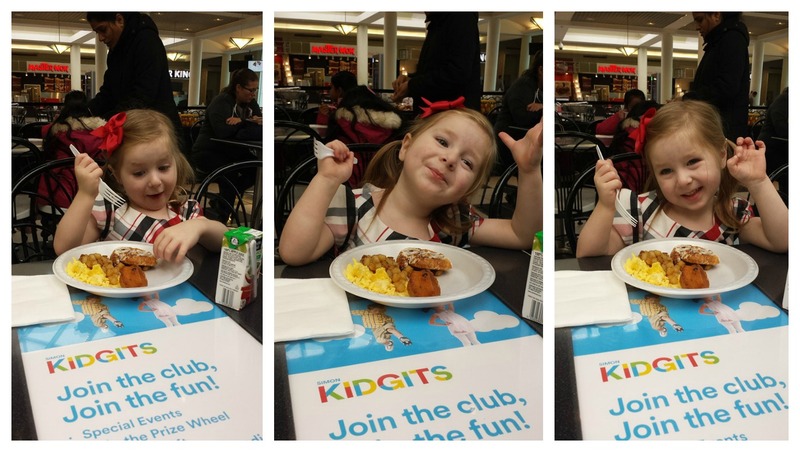 This weekend we had the chance to spend the day getting our Christmas on at Emerald Square Mall in North Attleborough, MA where we’d been invited to attend Breakfast With Santa! Our day started in the food court, where Avery enjoyed a delicious breakfast, created some beautiful works of art, AND got to see her favorite guy; SANTA! After breakfast we headed down to Santa’s photo set, where Avery had a little extra-speccial-VIP time with Santa himself! She even got to interview him, and get the answers to the two questions that have been eating away at her all season! We asked him who makes all the candy canes he hands out, and what do reindeer eat. He informed us that the elves make all the candy canes, and it’s a year round undertaking! The reindeer eat a special mix of grains that are specially selected to ensure the reindeer are healthy, strong enough to pull the sleigh, and fast enough to get around the world in one night! 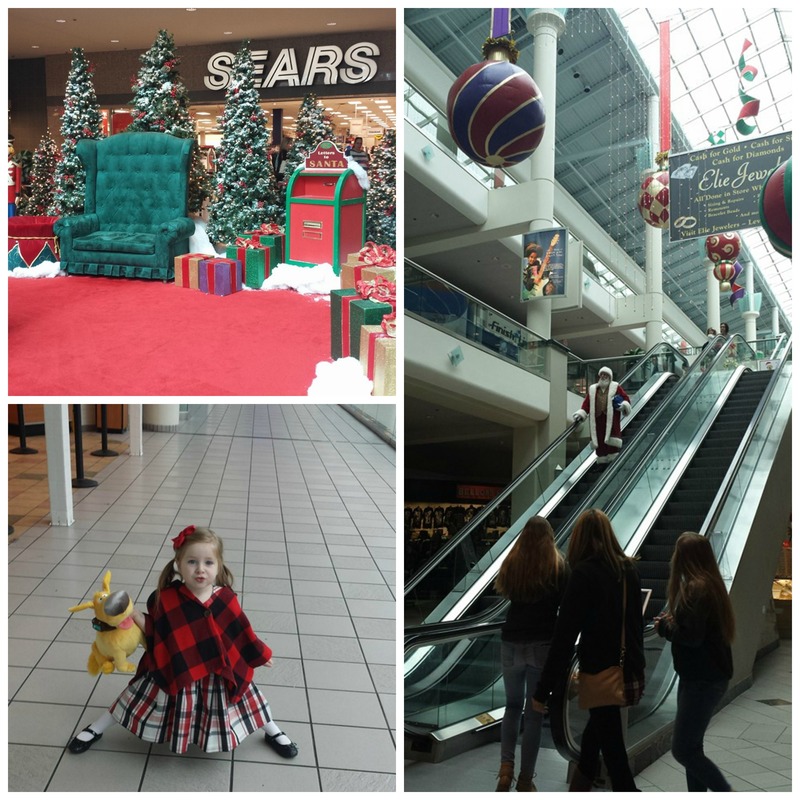 After interviewing Santa, it was time to shop all the awesome stores Emerald Square Mall has to offer!! Our Christmas List isn’t huge this year, but we still have some amazing friends and family that we want to buy gifts for! One of our stops was to Macy’s where we spotted the #MacysBelieve mailbox! For each letter received, Macy’s will donate $1, up to $1,000,000, to the Make-A-Wish Foundation®! We couldn’t pass up the chance to send Santa some mail, and help other kids at the same time, so we wrote…a few…letters!! We love visiting Emerald Square because of the huge selection of retailers, and the ease of parking (And parking is free, unlike some other local malls!!) 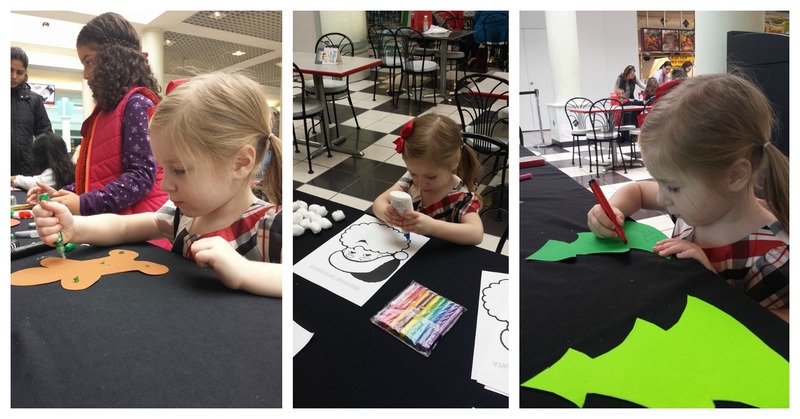 We also love the many family friendly events they host throughout the year, for Simon Kidgets members, like Breakfast With Santa! I’ll be back this week with Dave (while grandma babysits!) to get the last minute items we need! Thank you to Emerald Square Mall for inviting us to attend Breakfast with Santa, and thank you to Santa for taking time out of his VERY busy schedule for our little interview! This entry was posted in Uncategorized and tagged christmas, emerald square, holidays, mall, santa.